Take cuttings now or sow seed to keep your garden full of favourite blooms. Perennial plants are very popular in the garden because they grow back year after year. The definition of a perennial is a plant that lives more than two years and in most cases they will live for many, many years and get better with age. But some perennial are short-lived and only live for three, four or five years. 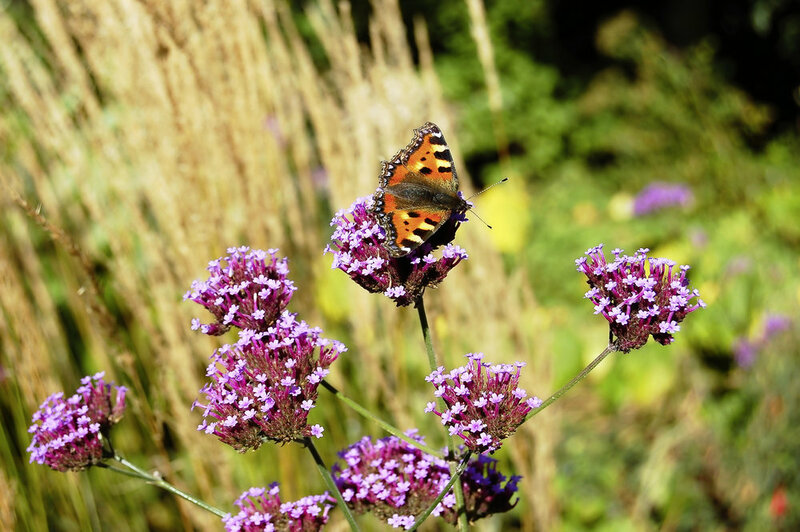 Some of these perennials such as Verbena bonariensis and aquilegia naturally die after a few years even when grown in the correct soil conditions, but fortunately many of them self-seed. Others such as penstemon and erysimum will sometimes live a little longer, but they tend to weaken and get leggy after a few years and flowering will decline. In this situation it’s best to replace the plants with new ones every few years. Most perennials are fairly easy to propagate by seed or cuttings. Many will naturally self-seed in the borders or you can easily raise new plants by sowing packet seeds. These are best sown in pots or trays and the seedlings grown on ready for the garden. Other types can be propagated by taking short cuttings at this time of the year and rooted on in pots or trays. The rooted cuttings can then be grown on to produce strong new plants for planting in the garden next spring.